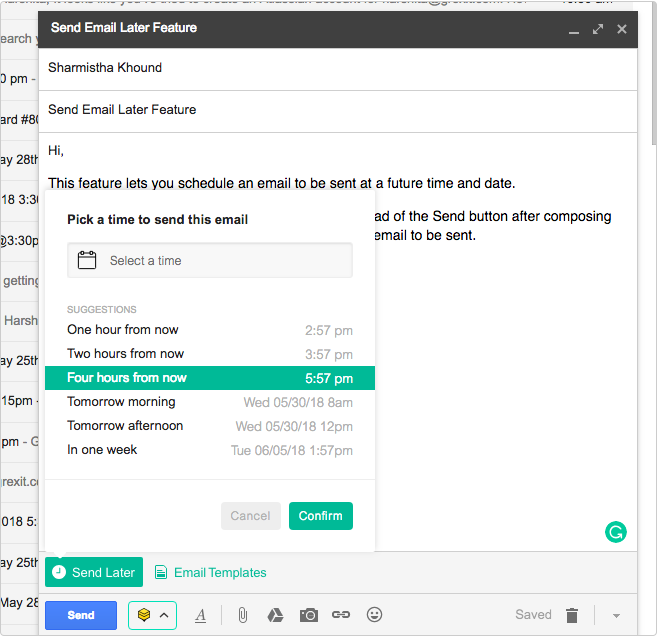 This feature lets you schedule an email to be sent at a future time and date. 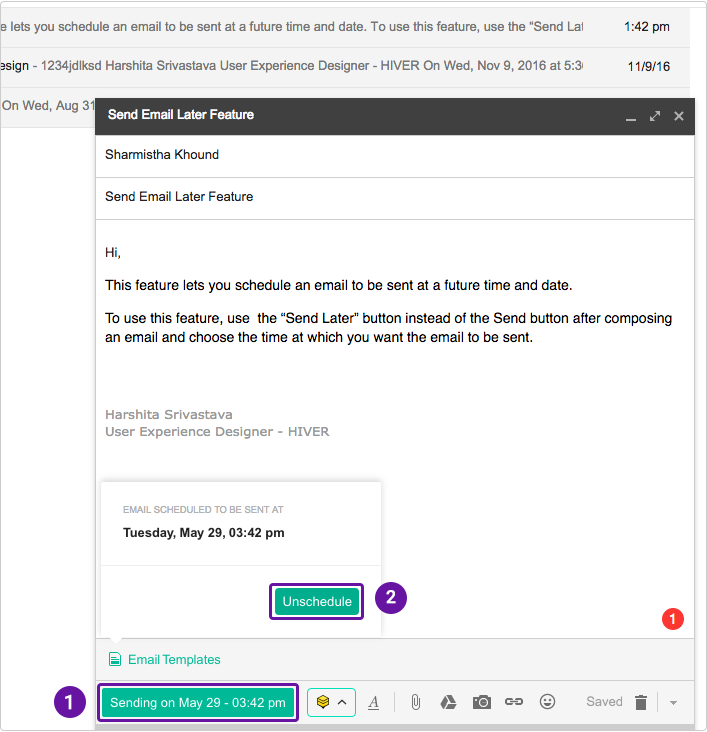 To use this feature, use the “Send Later” button instead of the Send button after composing an email and choose the time at which you want the email to be sent. 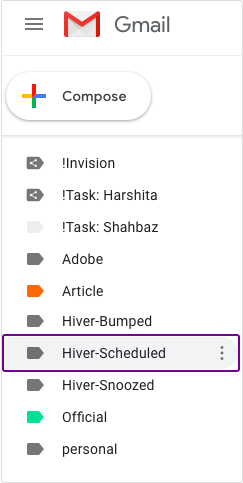 You can see the list of emails you’ve scheduled to be sent later by going to to the label “Hiver Scheduled” in your Gmail. Additionally, you’ll also be able to see the scheduled emails under your Drafts in Gmail. Click on 'Unschedule' to unschedule the email. Edit the draft, the changes will get saved automatically.